The Makers of EasyTouch® Syringes and Pen Needles bring you the EasyTouch® Twist Lancets. 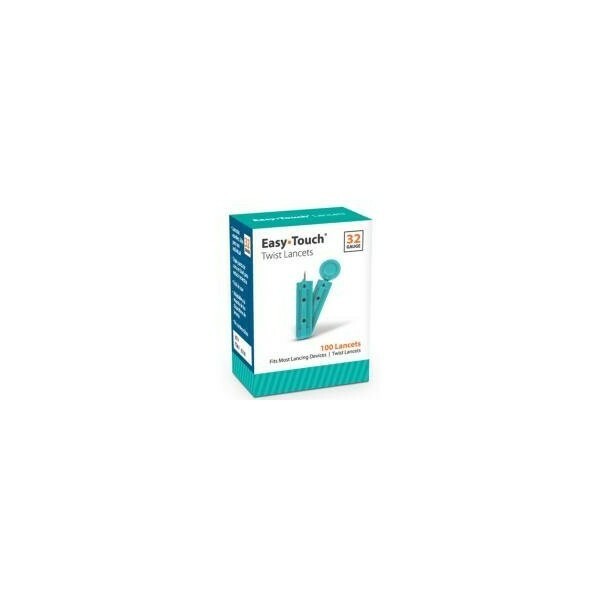 The Makers of EasyTouch® Syringes bring you the Easy-To-Use EasyTouch® 32 Gauge Twist Lancets. 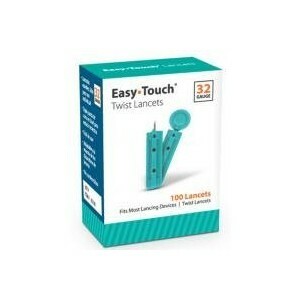 EasyTouch® Twist Lancets are easy-to-use, sterile, and fit the most commonly used lancing devices. The Twist Lancets are made with high quality surgical steel, color coded to the box, and have a triple-bevel cut for a more comfortable experience.